Golf Business | Stan Arnold Consultants Group Inc.
A well planned shop, in order to be successful, needs to be attractively merchandised across all appropriate categories of goods without being over-inventoried and it needs to provide service that is “above and beyond”. The best way to institute a plan to address the scientific area of the formula is the ‘buy to space’ approach. Understanding the clientele and their wants and needs and tailoring this unique mix to the existing fixtures, traffic patterns and peak selling periods is the challenge. Having orders arrive that are specifically designed to fit a specific space and that are planned out according to the right turn ratio allow for a variety throughout the year of vendor, color and seasonally appropriate goods. It is wise in today’s market place to establish partnerships with key vendors both in hard goods and apparel. Titleist, Foot-joy, Zero Restriction, Fairway and Greene, Greg Norman and Peter Millar are vendors that partner well and are willing to help key accounts with staff apparel, shop fixtures, visual display and product-knowledge seminars. Golf Shows are the venue to be on the lookout for new and ‘next best’, but key vendors should be having their representatives visit the club often and with a purpose. Staff appearance is critical for many reasons, not the least of which is that they are the first impression the Club gets to make. A staff that does not come to work well-groomed and properly attired will never be perceived as truly professional. Perhaps the most important part of the job of a Head Professional and the staff they train is to provide a ‘cutting edge service’, attitude and atmosphere. This can only be accomplished when the bar is set high, expectations understood and the proper education provided. A knowledgeable staff in the shop that enjoys conveying that knowledge to members and guests is imperative to having a profitable shop that members are proud to patronize. 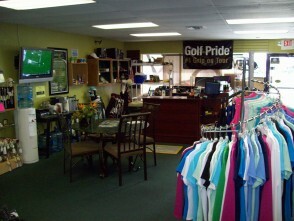 A pro-shop that provides this type of service is open until the last member leaves for the day.